Situated in Ilkley, this inn is 2.3 mi (3.8 km) from Yorkshire Dales National Park and within 6 mi (10 km) of Bolton Abbey and Bolton Priory. Manor House Museum and Hesketh Farm Park are also within 6 mi (10 km). How Much is a Hotel Room in Ilkley? 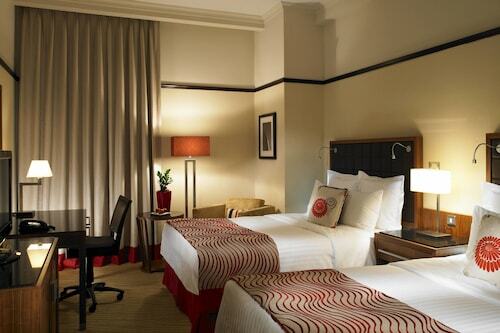 Hotels in Ilkley start at $71 per night. Prices and availability subject to change. Additional terms may apply. Thinking about exploring West Yorkshire? To experience it like the locals do, reserve places to base you adventure which are right near the heart of Ilkley. 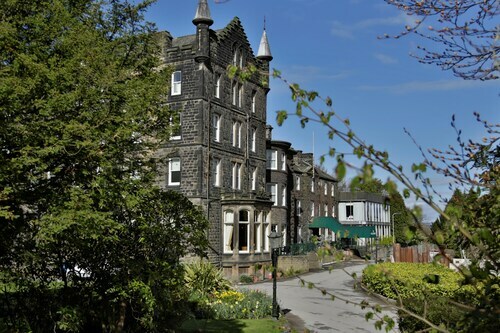 6 hotels listed on Travelocity sit within 6-mile (10-kilometer) of Ilkley and its surrounds. Although Ilkley doesn't lay claim to having a varied selection of lodgings right near the heart of its city center, Best Western Rombalds Hotel is convenient enough to satiate visitors. One of the small number of Travelocity-listed economical hotel choices in Ilkley is the Craiglands Hotel. 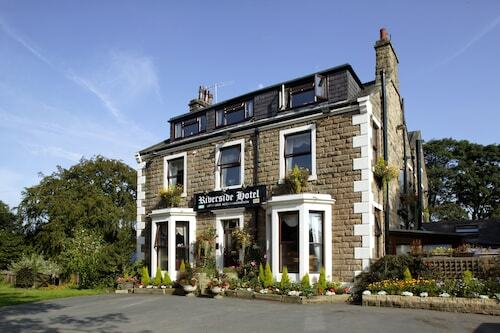 The Devonshire Arms Hotel & Spa is positioned 4 miles (7 kilometers) outside of the center of Ilkley. Another place to stay is the The Chambers - Park Place - Apartments, which is about 14 miles (23 kilometers) away. 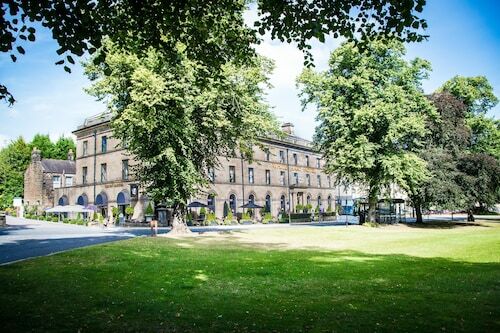 Some more hotel and apartment options worth checking out around Ilkley are the Croft Mill - Apartments and the Holdsworth House. Brighouse is 16 miles (26 kilometers) south of Ilkley and boasts Cromwell Bottom Nature Reserve and Willow Valley Golf. A few Travelocity-listed Brighouse hotel options include the The Lindley Suite and Holiday Inn Brighouse. 7 miles (11 kilometers) to the southeast of Ilkley, you will find Yeadon, home to the Chevin Country Park Hotel & Spa and Hillcroft Barn. If you stay in Yeadon, set aside some time to explore the Yeadon Tarn Park and Yeadon Town Hall. Make sure you spend a few hours enjoying the plays in the company of fellow sports fans at a local sporting fixture. Old Trafford can be found 40 miles (60 kilometers) to the southwest of Ilkley. 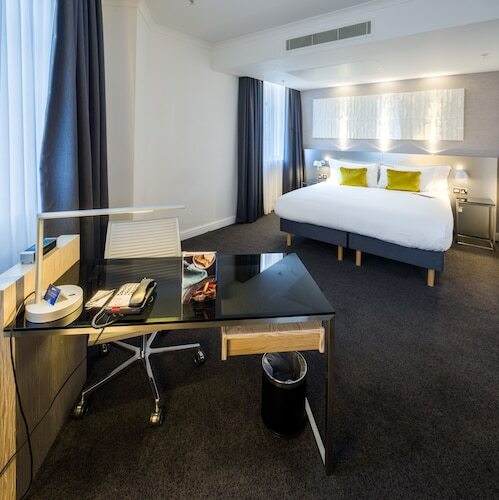 Travelocity customers who like the thought of staying nearby, book a room in the Dreamhouse Manchester Bloom Street or The Lowry Hotel. Leeds Bradford Airport is 8 miles (12 kilometers) outside the city center of Ilkley. 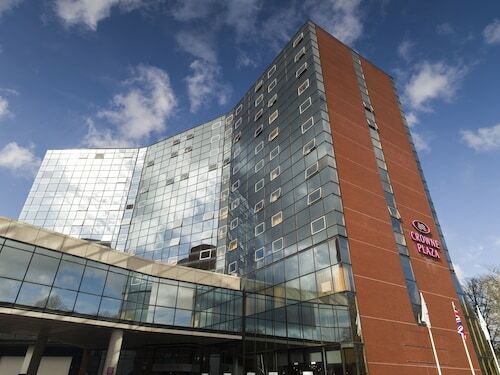 Wise visitors who choose to find accommodation in the area can easily book a good option in the The Half Moon Inn or Britannia Leeds Bradford Airport Hotel.